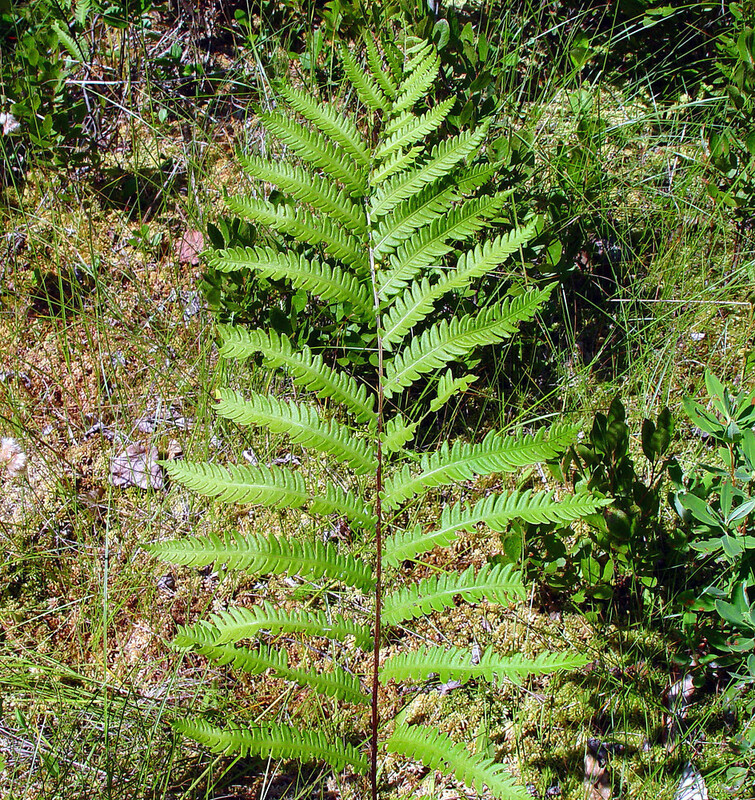 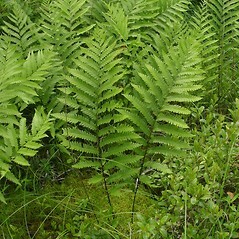 One of the taller ferns in New England, Virginia chain fern tends to grow in lines rather than clumps. 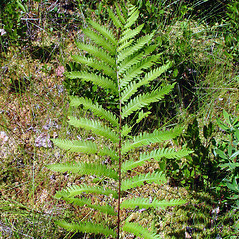 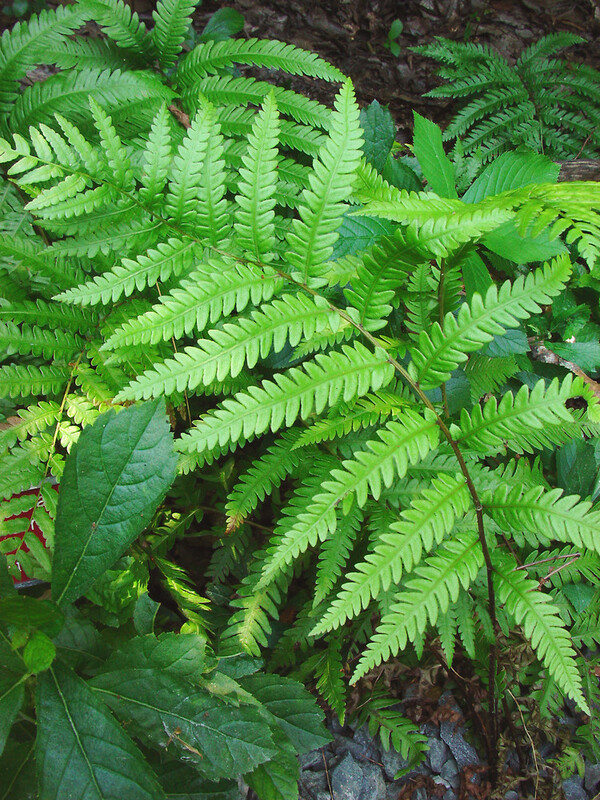 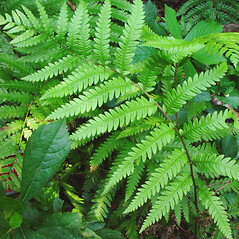 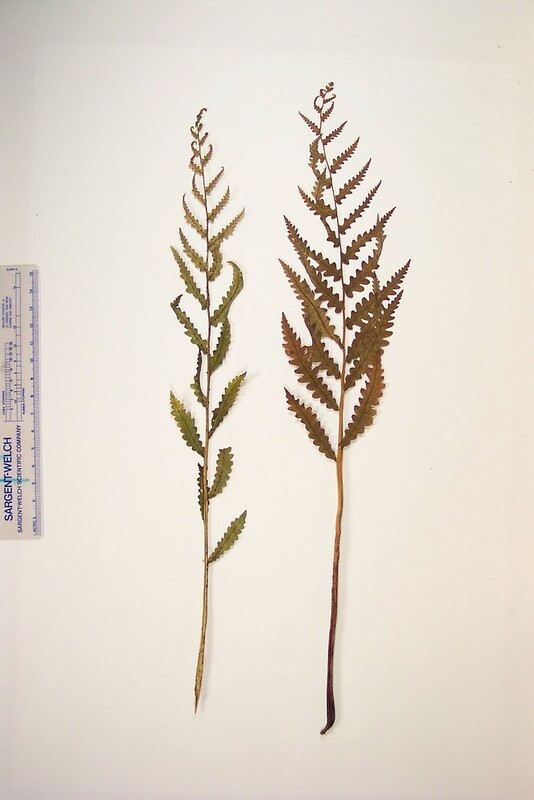 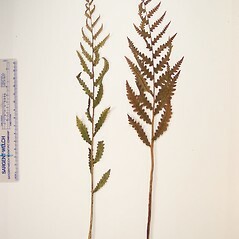 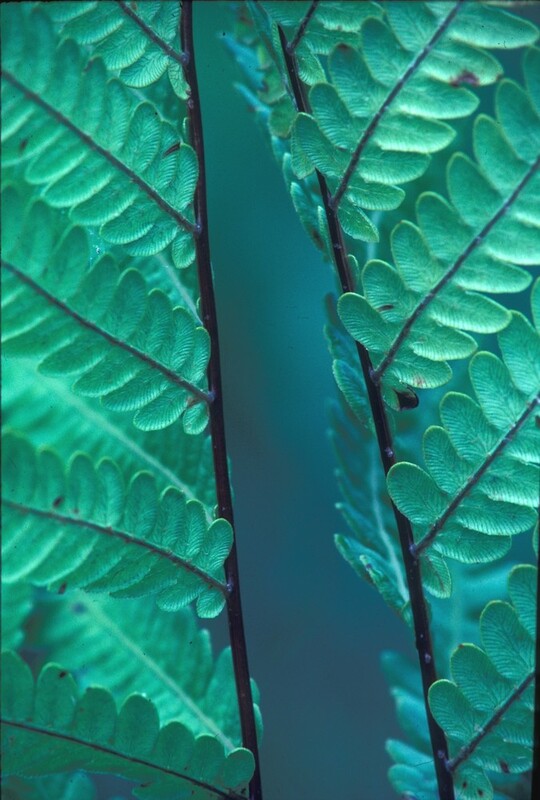 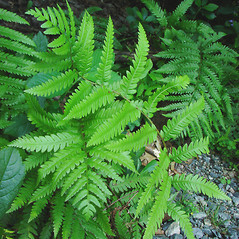 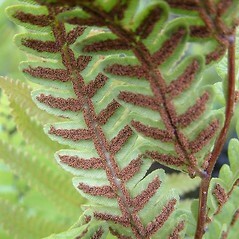 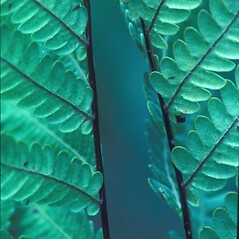 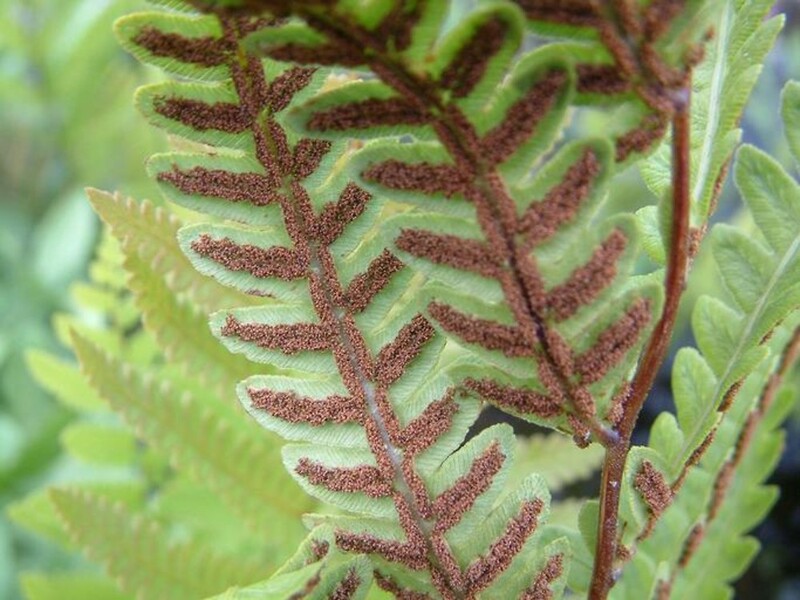 Virginia chain fern. 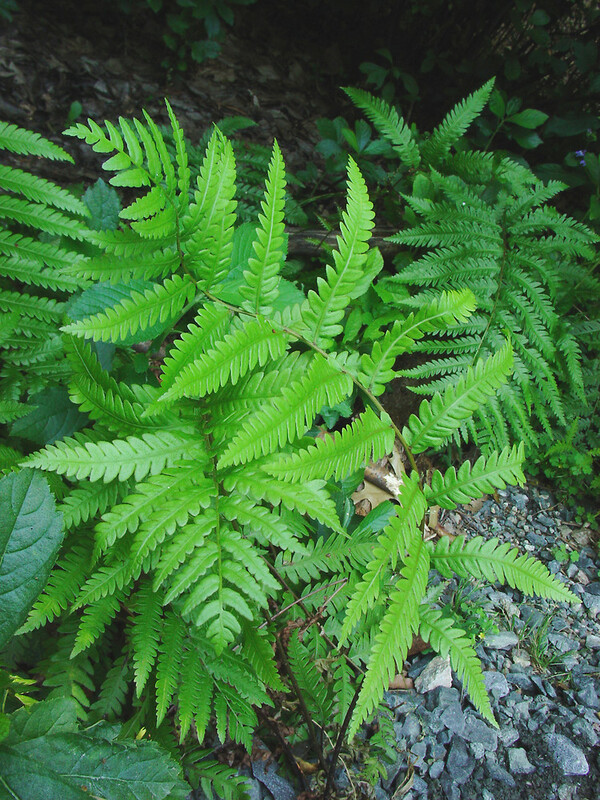 Blechnum virginicum L. • CT, MA, ME, NH, RI, VT. 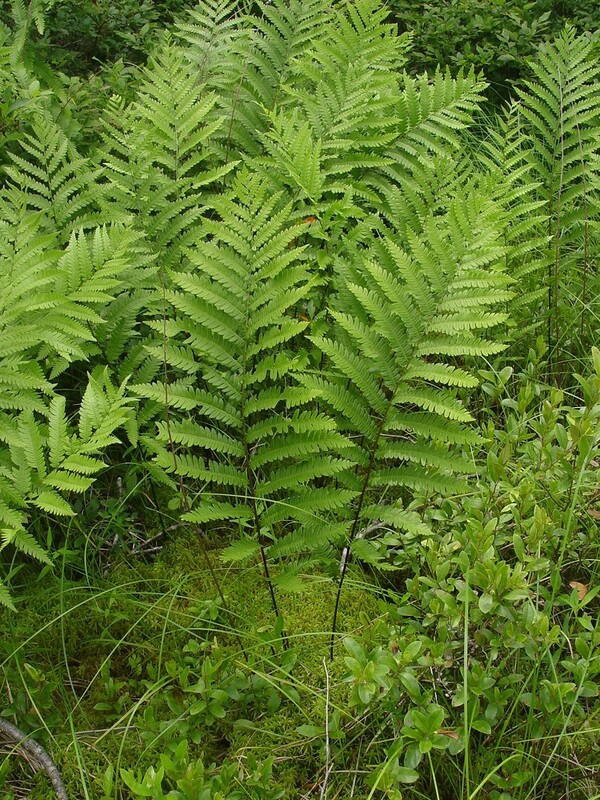 Acid soil of swamps, bogs, marshes, and ditches.